June 16, 2017, Ramallah — In a significant setback for Israel’s campaign against the global, Palestinian-led Boycott, Divestment and Sanctions (BDS) movement, earlier this week the upper house of the Swiss parliament blocked efforts to criminalize BDS and ban government funding for organizations committed to promoting Palestinian human rights. These failed efforts were led by Swiss right-wing parties lobbying for Israel. 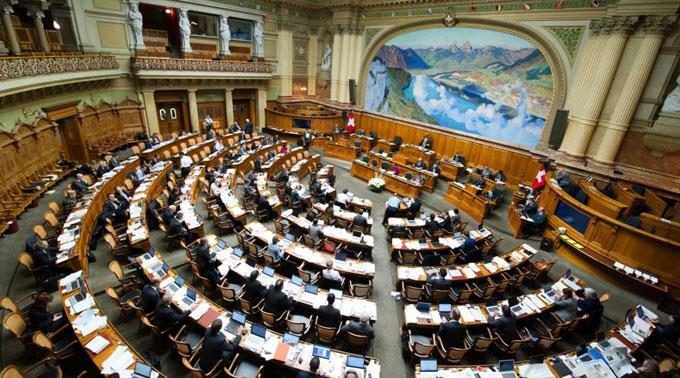 By refusing to restrict support for the legally protected right to advocate for BDS to end Israeli violations of Palestinian human rights, Switzerland now mirrors similar positions in Europe. In 2016, the European Union and the governments of Sweden, Ireland and the Netherlands upheld the right to advocate for BDS to support Palestinian freedom, justice and equality as protected by freedom of speech and freedom of association principles. In a historic first for the Spanish central government, on April 27 it similarly and officially affirmed that the right to advocate for BDS in solidarity with the Palestinian struggle is protected by laws guaranteeing freedom of expression. The government fully respects the activities and campaigns promoted by civil society within the framework of free expression guaranteed in our political system. He made this statement in response to a question about the government’s position on BDS, asked by Pablo Bustinduy, the spokesman of the international affairs committee of the progressive Unidos Podemos alliance in the Spanish parliament. The Spanish government has made clear that its citizens have the right to act according to their conscience and participate in the BDS movement to advocate for Palestinian human rights. Along with the Swiss parliament, it has dealt another blow to Israel's anti-democratic efforts to impose virtual walls restricting free speech and human rights work in principled solidarity with Palestinians. The recognition of the right to BDS is growing across Europe, the United States and the rest of the world. Boycotting Israel’s military occupation and racist system of apartheid is just as legally protected and morally justified as was the successful international boycott of apartheid South Africa. This is a victory for human rights defenders and a defeat for the Israeli lobby groups that are pressuring parliaments all over Europe to conflate the anti-racist, nonviolent BDS movement for Palestinian rights with anti-Semitism and to stop funding Palestinian NGOs supporting BDS. It’s a victory for freedom of expression and human rights. We will continue working to ensure respect for human rights and international law in Palestine, and for the right to free expression, which protects campaigns like the one led by the BDS movement and supports the actions of human rights defenders as legal and legitimate efforts to make visible the continuous violations of the rights of the the Palestinian people.